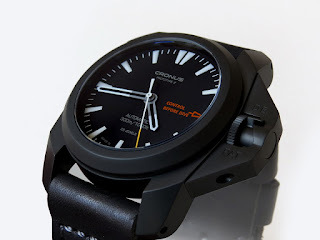 Here’s another quick look at the Cronus PROTOTYPE 2 Black Edition. 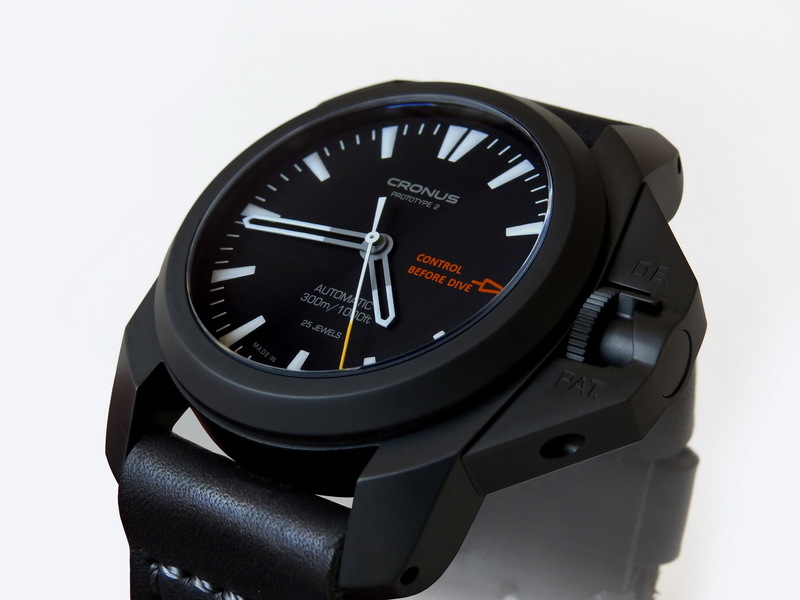 Cronus is a young German watch brand specializing in fixed bezel divers that boast an in-house patented crown-locking device. Stylistically you could liken the Cronus Prototype to a G&W, Ennebi hybrid but really it is very much its own thing. The Prototype 2 is Cronus’ first production model. The PROTOTYPE 1, was based on a Russian Vodolaz. It never made it into production. 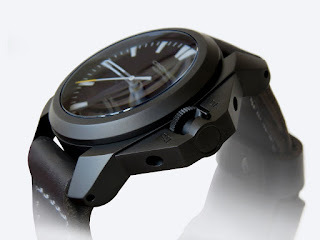 Basic specifications of the Prototype 2 Black Edition include: a case constructed from 316L Stainless steel which has been given a black PVD coating. Divers features include: a Sapphire crystal, water-resistance of 300 meters and crown-locking device with a visible operating indicator on the dial. Powering the Prototype is a Swiss mechanical self-winding movement. Please follow the link embedded, below for more info.